For the first time ever, Korea Tourism Organisation Singapore (KTO Singapore) will be hosting the Korea MICE and Culture Festival 2015 right here on our sunny island. What can you expect at the festival? 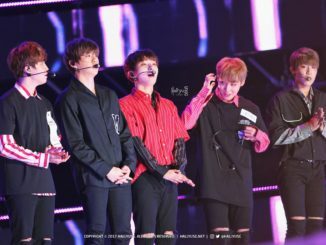 Apart from various exhibitors who will showcase on the popular places of interest within the Korea provinces (such as Gyeonggi-do and Jeju-do), there will also be activities for all to participate and learn more about the Korean culture in general. Planning to travel to Korea soon? Here’s where you can find out more about the country and plan your own free and easy tour. 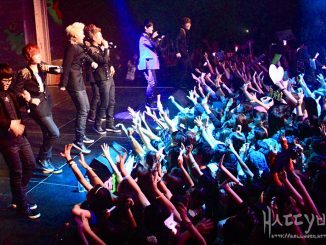 Stand a chance to win attractive prizes including tickets to the invite-only event (happening on the same evening) featuring exciting performances by K-Pop acts such as Block B, K-Tigers, Drum Cat and Sorea. 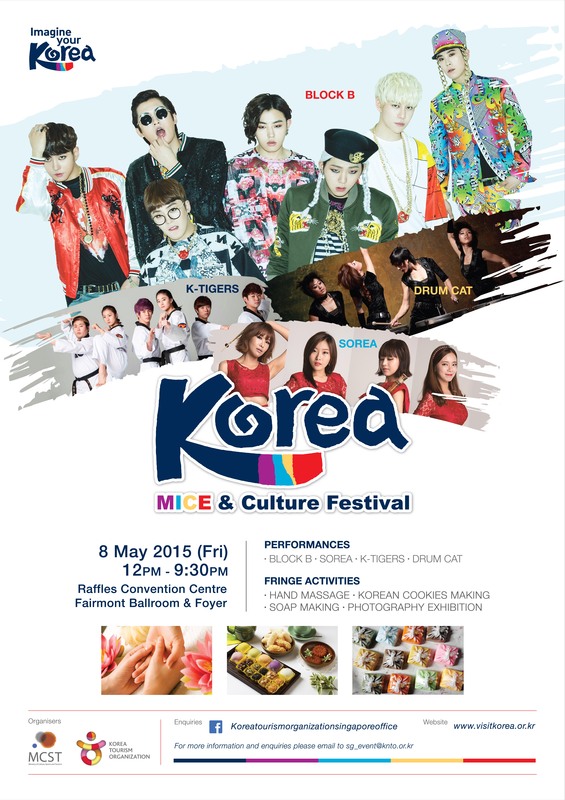 The Korea MICE and Culture Festival 2015 is open to the public on 8th May 2015. Fans who are interested to attend the one night only K-performance event in the evening can stay tuned to KTO Singapore on their FB page for more details on the contests and giveaways to win tickets. As 2015 marks the 40th Anniversary of Singapore and Korea’s diplomatic relationship, this event makes our ties even stronger and is certainly one that you would not want to miss! Watch this space for more updates coming your way.